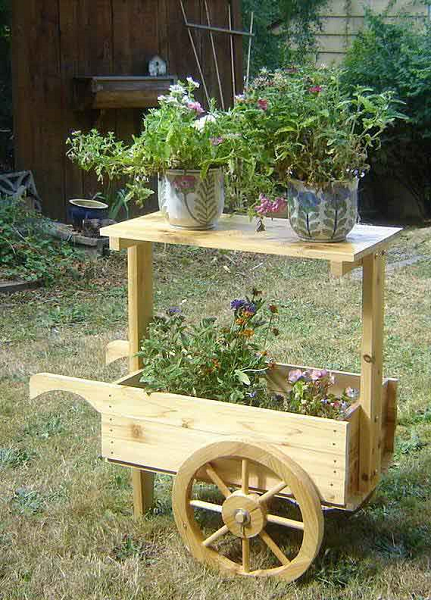 Simply fill the wooden wheelbarrow planter with compost and plant directly into the planter or put your favorite potted flower in it for easy transportation around your garden. 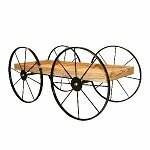 The seven spoke wheels are made of three ply cedar wood, secured to the decorative display cart, with a bolt and nut through the planter so you can roll it anywhere in the home garden or simply park it inside your house. 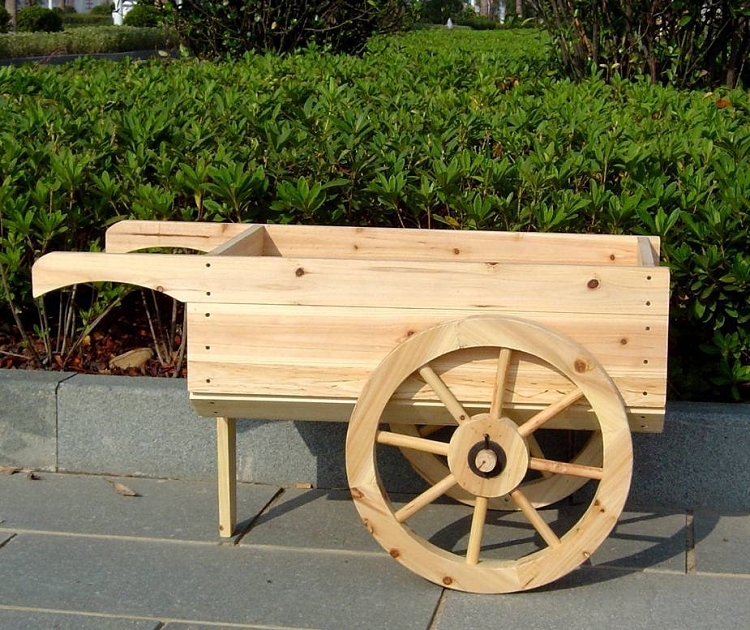 The Wheelbarrow Planter is a classic lawn ornament or planter, perfect for both decorative and utility purposes. Wheel size is 12" diameter and 2" thick. Natural Tung oil for outdoor protection.